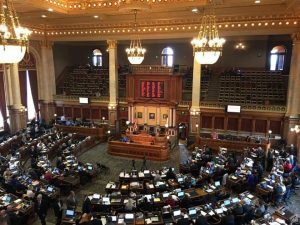 A bill banning abortions after 20 weeks was passed in the Iowa House on Wednesday following its passage in the Senate. 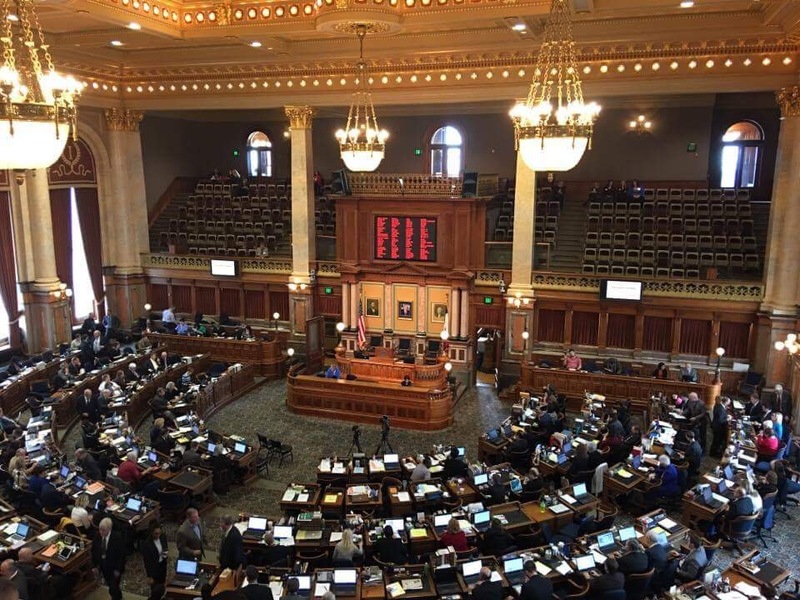 The bill was introduced by Representative Shannon Lundgren (R, Peosta) and voted along party lines, unlike the bipartisan support that it received in the Senate. Attempts were made by Republicans to add an amendment to the bill that would ban abortions after a heartbeat is detected and to define life as beginning at conception. These amendments failed. “When we detect a heartbeat, we know there is a life there. When it stops, we know that life has ended. A baby’s heartbeat can be detected by six weeks, and 60-70% of abortions are performed before 20 weeks,” said Representative Sandy Salmon (R, Janesville). Representative Holt (R, Denison) expressed his support for this amendment by saying, “From the beginning of conception, a child has a unique DNA code that is different from its parents. Each one of us in this chamber was once at the beginning our lives. Each one of us in this chamber had a heart that was just starting to beat. Each of us in this chamber was once 8 weeks old and had organs that were just starting to function. Each of us in this chamber had fingerprints that were just beginning to form. Each of us in this chamber smiled for the first time, perhaps in our mother’s womb. Each of us in this chamber was given the opportunity for life. Human life must be protected at conception as it was for us. The basic right to life should belong to every human being as it does to us. Just as our unborn lives mattered, so do other unborn lives matter. Let us protect this right for others as it was protected for us.” He also shared the story of losing his son prematurely and how it strengthened his pro-life conviction. Amendments were also introduced to provide the opportunity for a woman to view an ultrasound of the fetus and before continuing with an abortion and to require a 72 hour waiting period before receiving an abortion. These amendments were successfully passed. Representative Greg Heartsill (R, Dallas-Melcher) said that “Seeing is believing. That baby is not an appendage of her mother. She’s a baby”. He shared the power of the impact that seeing his wife’s ultrasound of his daughter had on him. House Democrats tried to counter the bill with amendments that included requirements for fathers to begin paying child support at 20 weeks (introduced by Representative Liz Bennett (D, Cedar Rapids)) and fines for sperm released during masturbation (Representative Bruce Hunter, D, Des Moines). Representative Hunter used the Every Sperm Is Sacred lyrics from Monty Python to back up his argument. These amendments were withdrawn and not voted on. The bill passed by a vote of 55-41, with four absent. The bill will be sent back to the Senate to be voted on as amended.